The Rafale was chosen in 2012 over rival offers from the United States, Europe and Russia as Dassault was announced as the lowest bidder. The step was needed to upgrade India's ageing fleet of MIG-21s and MIG-27s and to upgrade India’s air warfare capabilities in keeping with the modernization plans and air combat capability of Pakistan and China. The original plan was that India would buy 18 off-the-shelf jets from France's Dassault Aviation, with 108 others being assembled in India by the state-run Hindustan Aeronautics Limited or HAL in Bengaluru. The Modi government found the Rafale twin-engine planes too expensive and the deal fell through after nearly decade-long negotiations between India and France. 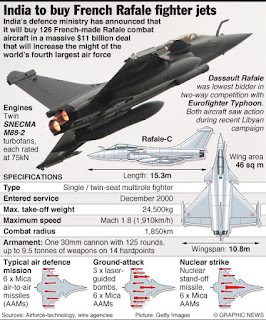 The decision taken by PM Narendra Modi, during his visit to France on 10 April 2015, to buy 36 French-manufactured Rafale fighter jets off-the-shelf from Dassault, the French aircraft builder at a cost of Rs. 59,000 crore or 7.8 billion Euros had stirred up this controversy and The Congress Party had alleged that the cost of each aircraft is three times more than what the previous UPA government had negotiated with France in 2012. 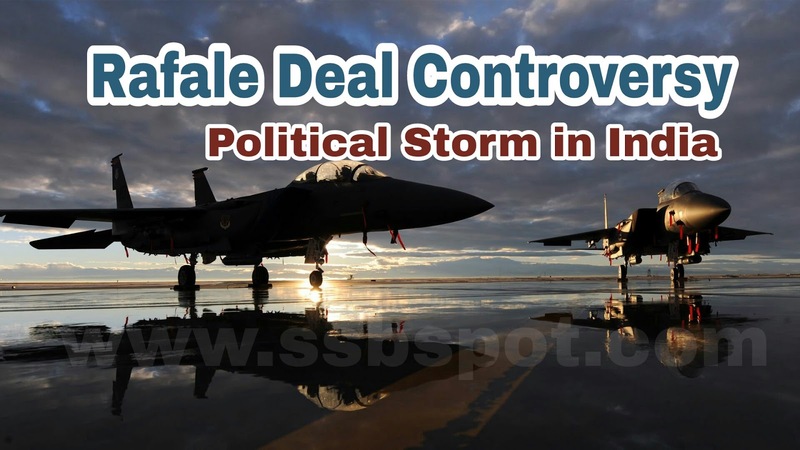 Finally, in September 2016, India signed an inter-governmental agreement with France, dubbed as the "Rafale deal” for the procurement of 36 Rafale jets. The delivery of these jets is scheduled to commence from September, 2019. Rafale is a twin-engine medium multi-role combat aircraft. It is manufactured by the French company Dassault Aviation. Dassault claims Rafale has 'Omnirole'. This is the capability to perform several actions at the same time. 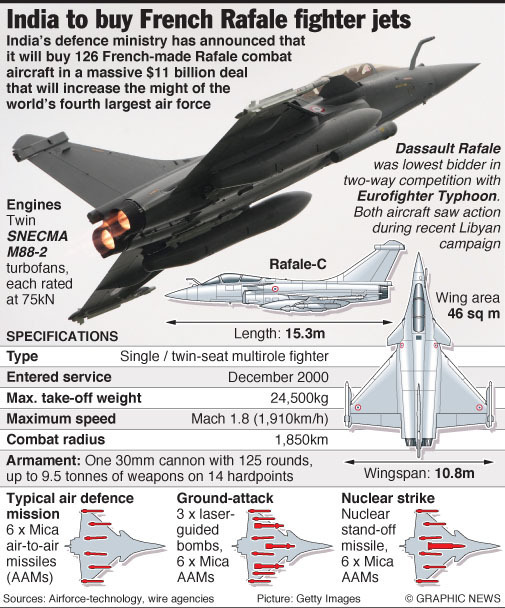 Rafale can carry out both air-to-ground as well as air-to-air attacks. It can also carry out interceptions during the same flight. The aircraft is fitted with an on-board oxygen generation system (OBOGS). It suppresses the need for liquid oxygen re-filling or ground support for oxygen production. What is the present concerns and dispute with sharing price details? Transfer of Technology (TOT) - The current deal has a 50% offset component. Accordingly, Dassault will manufacture items worth 50% of the deal in India. However, the absence of transfer of technology (ToT) component is raised as an issue. 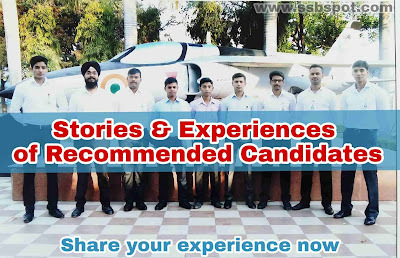 Also, no role is guaranteed for any Indian public sector company, including HAL. The present deal as direct government-to-government agreement, as against the earlier open tender, is criticised. Also, the 36 fighters are said to be purchased at a much higher price than earlier negotiated. Earlier deal - The previous government's price for 126 aircraft was never finalised, and no contract was signed or executed. Hence, no official figure on the price was ever given. 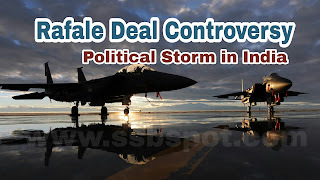 New Deal - Recently, the Defence Minister declined to share the cost of the Rafale fighters under the new deal, with Rajya Sabha. It was said that the price details were "classified information". This was as per the Inter-Governmental Agreement (IGA) between the Governments of India and France. Accordingly, material exchanged under the Inter-Governmental Agreement is governed by the provisions of the Security Agreement. However, in 2016, Minister of State for Defence had shared the price in the Lok Sabha in a written reply. The basic price of each Rafale aircraft was said to be around Rs 670 crore. At the time of its signing, the 36-aircraft deal was said to be worth around Rs 59,000 crore. Security - Signed between the two nations in 2008, it has some confidentiality provisions. It relates to Protection of Classified Information and Material in the field of Defence. It has generally been the practice to share the cost of defence deals with Parliament. However, in some cases, the details have been kept secret for reasons of national security. Nevertheless, the government is duty-bound to share the pricing details with Comptroller and Auditor General (CAG) and the Public Accounts Committee (PAC) of Parliament.